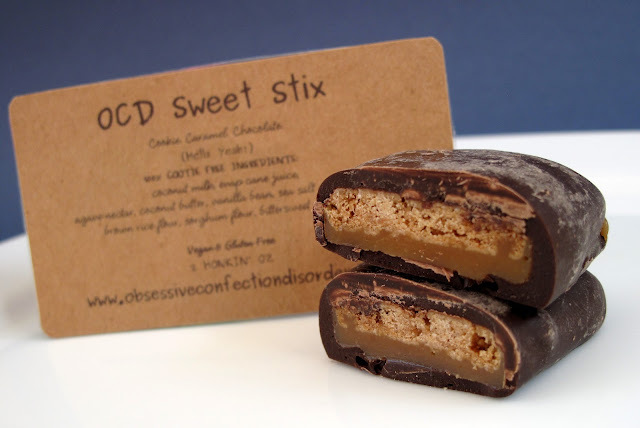 A couple of months ago, I was able to sample the amazing "Vegan Twix" from Obsessive Confection Disorder. They're called Sweet Stix and they're something I've been waiting a long time for! Twix was always one of my favorite candy bars, so I've been pretty bummed for the last 10 year or so. But thanks to Melodi, I can stuff my face with delicious Sweet Stix! Rich and buttery caramel makes Sweet Stix light years better than your old boring Twix. 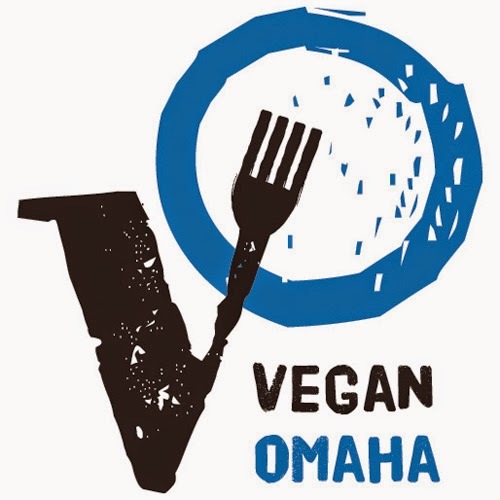 Handmade with love, these Stix are wide and chubby, not the long and skinny bars of old. Also, I enjoy the high quality chocolate and assorted natural ingredients that make it so tasty. Four Sweet Stix come to a box but I guarantee you will inhale them right away. So if you've been longing for your Twix fix, the answer is finally here! OMG I need these in my life! Awesome!